The commemorate Black History Month, BET will air The Book of Negroes, a mini-series based on the critically-acclaimed book by Lawrence Hill. The Book of Negroes depicts the extraordinary life of Aminata Diallo – an indomitable African woman who survives against all odds in a world that forever underestimates her. 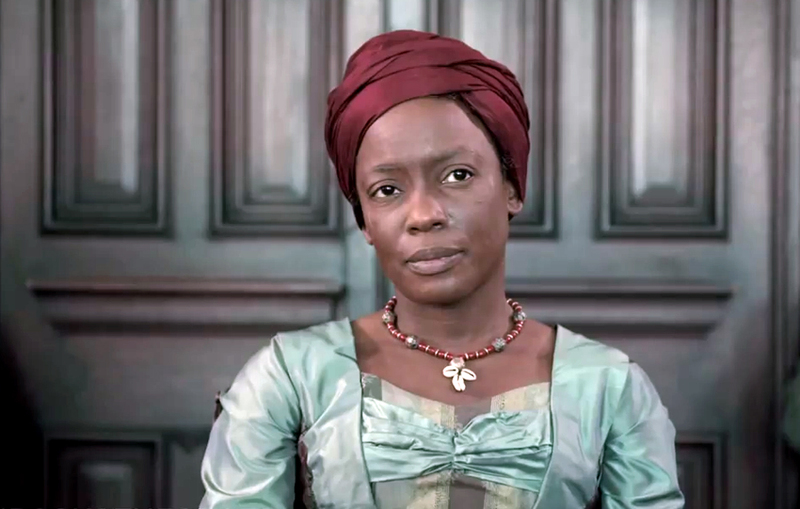 Kidnapped by slave traders in West Africa and subsequently enslaved in South Carolina, Aminata must navigate her way through the American Revolution in New York, the isolated refuge of Nova Scotia and the treacherous jungles of Sierra Leone, before ultimately securing her freedom in England at the dawn of the 19th century. The sweeping six-part historical drama, directed by award-winning filmmaker Clement Virgo and co-written by Hill and Virgo and staring Aunjanue Ellis, Louis Gossett Jr., Cuba Gooding Jr., Lyriq Bent, Jane Alexander, Ben Chaplin, and Allan Hawco, will make its U.S. broadcast premiere on BET in two-hour installments on February 16, 17 and 18. For more information of the series, click the link to watch an Interview with the Cast of The Book of Negroes.